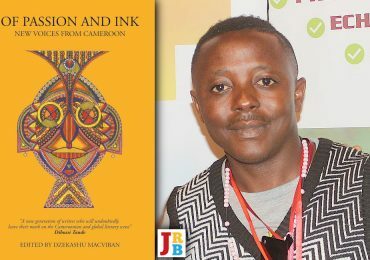 Tochukwu Emmanuel Okafor chatted to The JRB Editor Jennifer Malec about winning the Short Story Day Africa Prize, and his writing life. 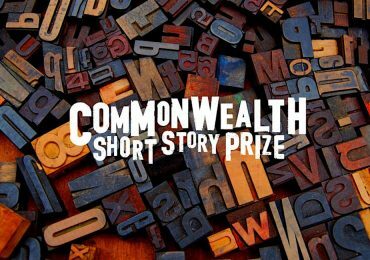 The Nigerian writer won the award for his story ‘All Our Lives’, and this year, for the first time, two writers were jointly awarded second place: Agazit Abate for ‘The Piano Player’ and Michael Yee for ‘God Skin’. In the July edition of The JRB, we are privileged to publish all three winning stories. 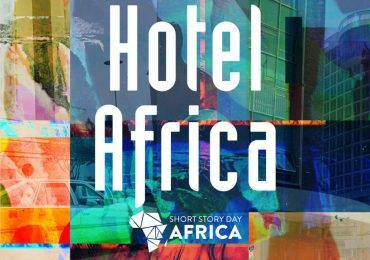 Jennifer Malec for The JRB: First of all, hearty congratulations on winning the Short Story Africa Day Prize. How does it feel? Tochukwu Emmanuel Okafor: Thank you Jennifer. It still feels surreal. This is the first time my writing has won a major prize. I want it to feel like my past successes, but this feels very different—in a good way. I wake up in the morning, look in the mirror, and watch myself take deep breaths. I hope it all wears off soon. I have a lot of work to do! The JRB: From what I’ve read of your short fiction, ‘All Our Lives’ is something of a departure for you, in that you play with language and form quite a bit in the story. Was this piece like this from the beginning, or did it evolve? Tochukwu Emmanuel Okafor: Thank you for reading my work. The story began that way in my head. It was also chaotic. Perhaps this was why I tore up the first draft of the manuscript. 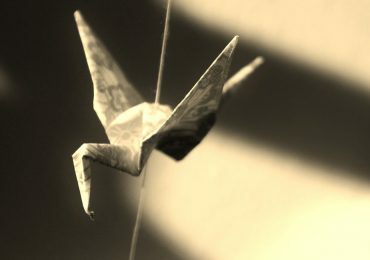 So many things, so many people, were pouring onto the page, and I couldn’t control them. As I wrote and rewrote, I made new discoveries, with form especially. Language wasn’t much of a problem, as I had heard the story so loud and clear in the manner it wanted to be told. The JRB: The story is interesting for many reasons, but I think the main one for me is how you combine the general experience of being a young Nigerian with specific individual experience. And the effect of this is magnified by your use of the first person plural, ‘we’. What was your intention in using that ‘we’? Tochukwu Emmanuel Okafor: I had no intention, really [laughs]. It’s surprising when I come to think of it now—that I’ve never approached my storytelling with any sort of intention. Even when I plan toward it, the voices take over from me. In the beginning, each narrator fought to be heard—which, by the way, made my life very difficult as I had to always have my pen and paper, and many times my sister caught me talking to myself. It didn’t look good! But as the story unfolded over months, I observed a kind of harmony in the voices. A shared experience. And an agreement to tell this story to the world in a unified voice. The ‘we’ popped out. The JRB: One of the special things about Short Story Day Africa is the editing mentorship, mentored by Helen Moffett, with this year’s SSDA Editing Mentorship Fellows being Otieno Owino and Nebila Abdulmelik. How did you find the editing process? What aspects of your story changed, do you think, if any? Tochukwu Emmanuel Okafor: People will see this as flattery, but I have to tell my truth: throughout my years of writing and trying to get anything published, I have never found any editing process as thorough and engaging as the SSDA’s. It was less of a ‘process’, more of an open conversation. It was as though the editors were living in my head, knew my every thought process. Unlike some of my previous editing experiences, where there is often a top-down relationship between the editor and the writer—the editor is the lord and the writer is the servant who has to cower and not ask certain questions (which I’ve bristled against and, in the worst cases, withdrawn my work), the SSDA editors knew my destination and were willing to ride along through every dip and turn. I learnt a great deal, though I’d lie in bed after each revision to mourn my murdered darlings! I think the only aspect of the story that changed was a line that seemed to veer dangerously toward conflating the narrators’ belief with that of the author. It had niggled everyone—me, the editors, and perhaps the early readers of the story. I loved how the editors had pointed it out. Such rare sight! The JRB: In your non-fiction, you’ve written about the ethnic divide you’ve experienced in Nigeria between Yoruba and Igbo, and how you hope to explore this in your fiction. Do you think fiction plays a role in addressing real-world issues? Tochukwu Emmanuel Okafor: The ethnic divide is difficult to write about. It isn’t just between Yoruba and Igbo; it cuts across all ethnic groups. And this ‘divide’ is present in societies where other forms of social classification exist. I think fiction becomes a burden, both on the reader and the writer, when one actively thinks of it as a tool for addressing real-world issues. Yes, the world is a political space. Yes, human beings are by nature ‘political animals’. But the human experience, which forms the very root of fiction, should not be politicised. No one leaves home, thinking, ‘So, today, I’m going to make political how I greet people, how I eat breakfast, how I talk and laugh and smile.’ Great fiction has provided material from where we can draw thoughts to tackle world problems. The JRB: You studied engineering at the University of Benin, but you’re clearly passionate about literature, and a prolific creative writer. What made you choose a non-literary field of study? Tochukwu Emmanuel Okafor: Will it be fair to say that I studied both engineering and literature (as well as history) and earned a degree for only one of the courses? My friends might disagree [laughs]. I’m passionate about a lot of things. I will be signing up for drawing, photography and piano lessons soon. I think we live in a time where our university certificates do not, should never, define us. We can choose to be one thing or an assortment of things at the same time. My first encounter with the world, growing up, was through reading. I read everything I could find. And I wrote plenty of crap when I was a child. At a very young age, I noticed that most people in my part of the world never wanted to solely associate themselves with the words ‘writer’, or ‘author’. So, when someone who wrote books wanted to introduce himself, he would begin with, ‘I am a lawyer’ or ‘I work in a company’. At school, we were taught to love literature but never to aspire to become ‘creators of literature’. Did I buy into all of this? Perhaps. Would I want my generation or the next to buy into it? Of course not! I am grateful that I come from a family where I am allowed to be many things at the same time. Being a practical Igbo boy, I looked forward to doing something lucrative, and it had to be something I loved. I love the science of everything—numbers, equations. I wanted to study medicine and become a pediatrician so I could treat kids during the day and use their stories to create children’s books by night. I got admitted to study medicine at the University of Benin in 2010, but I lost the place that same year. The course was not accredited at the school during that period. I was posted to the optometry department. I declined the offer—why should I study just the eyes when I was capable of learning about the entire human system? I realised that I had wanted to become a doctor because I was that child who had nearly perfect grades and everyone expected him to be a doctor. Besides, I hated the sight of blood. Looking back now, it would have been a disaster. I settled for electrical engineering because I had—still have—big dreams of solving the power problems in Africa. All the while, I was reading and writing. The JRB: What writing did you do while you were at university? Tochukwu Emmanuel Okafor: I made friends with undergrads in the arts, especially those in the Department of English and Literature. I studied their notes, studied history, read every recommended text. I loved courses like creative writing, literary criticism, pre- and post-colonial theory. I joined the creative writing workshop at the department. Sometimes I shared my work with other participants and listened to the constructive feedback. I entered the department’s annual literature prize twice and each time I won. However, I noticed that most students in the arts were really unhappy. It seemed that they had applied to other ‘important’ courses but the university had chosen to dump them in the arts. A lot of people believe that if you are a literature student, you are not as smart as your counterparts in the sciences. You are seen as a failure, as someone who lacks the rigour of handling the complexities of the sciences. Anyway, this is a story for another day, but let me just say that we can build a better world the moment we begin to merge knowledge from both the arts and the sciences. The JRB: The university is in Benin City, the capital of Edo State. Did you get involved in the literary scene there at all? Did living in a different state change your writing? 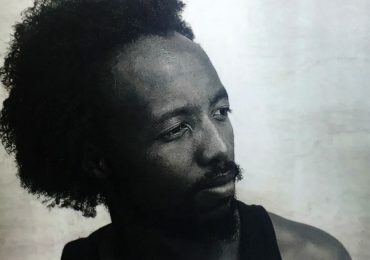 Tochukwu Emmanuel Okafor: The literary scene in Benin City is not as bubbling as it is in Lagos, where I had lived before coming down to the university. But the Benin people (who, by the way, I admire and greatly love their culture) are very interested in education. The JRB: Are you a short story reader? If so, do you have a favourite? Tochukwu Emmanuel Okafor: Oh no, I will evade this question [laughs]. Yes, I read short stories. I also read novels, poems, plays, flash fiction. Everything literary. I have a list of favourite short fiction! It would be unfair to name only one. The JRB: Could you share some of your literary influences with us, or what’s on your reading list? Tochukwu Emmanuel Okafor: Hmm. This is so not cool [laughs]. I think I have read over two hundred writers, and there is no way to tell if I have been influenced by any in particular. I admire, in no particular order, Toni Morrison, Virginia Woolf, Karen Jennings, Leo Tolstoy, Fyodor Dostoevsky, Edith Wharton, Edwidge Danticat, Chimamanda Ngozi Adichie, Raymond Carver, Binyavanga Wainaina, Chika Unigwe, Haruki Murakami, Ali Smith, Paul Beatty, Tope Folarin, Chinua Achebe, Stephen King, Cat Hellisen, Zadie Smith, Alice Munro, Teju Cole … oh, Jennifer, I’ve tried this before with a friend and it didn’t end well for me, I think I’d rather I stopped there [laughs]. I hope the ones I didn’t mention forgive me. I am fortunate enough to have read and reread countlessly a novel manuscript by one of these writers. Her name is Karen Jennings. The JRB: I was at university with Karen—and we recently published some of her new poetry—so that’s great to hear. Tochukwu Emmanuel Okafor: When her novel gets published, the world will love it, and I think it will be remembered for its brilliant subtleties, a novel for all times. Another of my favourites is Margaret Atwood’s The Handmaid’s Tale. I have just finished reading Uzodinma Iweala’s new novel, Speak No Evil, and it was great. The next five books on my reading list are Chika Unigwe’s On Black Sisters’ Street, A Igoni Barrett’s Blackass, Chibundu Onuzo’s Welcome to Lagos, Fiston Mwanza Mujila’s Tram 83, and Tomi Adeyemi’s Children of Blood and Bone. The JRB: I believe you’re working on a novel at the moment. Can you tell us a little about what to expect? Tochukwu Emmanuel Okafor: Oh no, I’m not saying anything [laughs]. I don’t even know what to expect. May the future surprise us all.